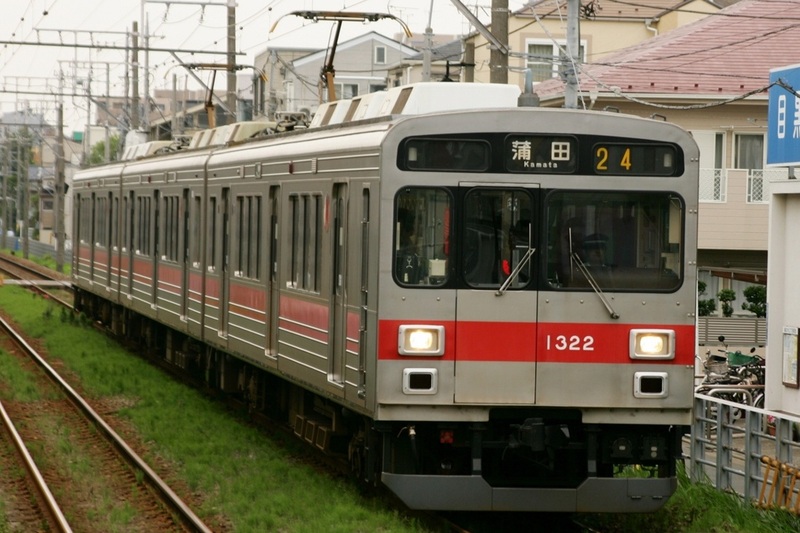 The Series 1000 is a stainless steel three door commuter-type electric multiple unit designed by Tokyu for its direct service with the Hibiya Line. Due to size limitations on the Hibiya Line, the 1000 Series is two meters shorter than the standard 20m trains used by Tokyu. Other than that, the 1000 Series is nearly identical in design to the 9000 Series developed two years earlier. 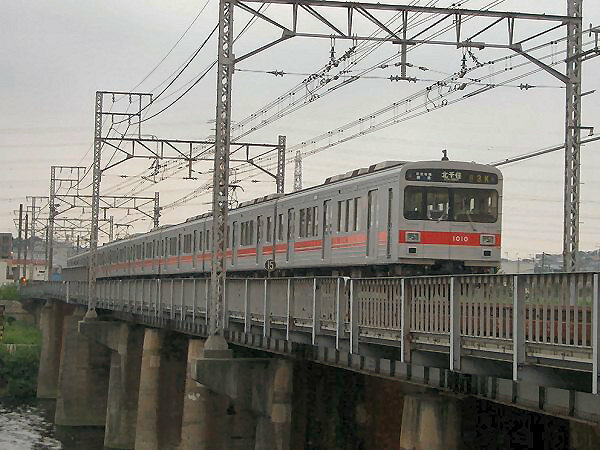 The majority of the trains are operated on the Toyoko Line but some are operated on the Ikegami and Tamagawa lines. Motomachi-chukagai Station on the Minatomirai Line. Some formations have walk-through doors on the end cars. These are left over from when these trains were operated as 4+4 formations that could be split if more trains were needed on the Mekama Line (Currently the Meguro Line) which operated four car trains. 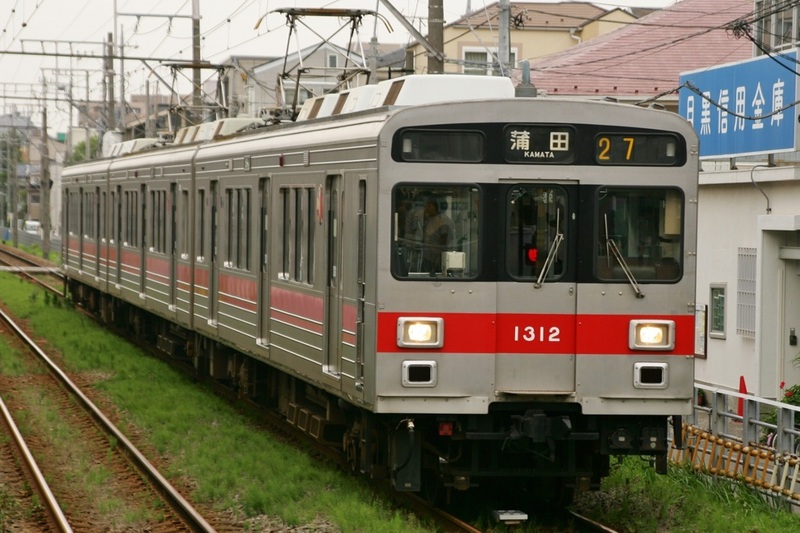 With the Toyoko Line's direct service with the Hibiya Line ending in March 2013, the 1000 Series' fate is currently up in the air.